The “plot for experts”: the recorded detector image shows that the incident X-ray radiation is amplified particularly at certain angles (blue and green areas). The energy difference between the two resonances that occur is a tiny 37.3 nano-electronvolts. When light interacts with matter, it may be deflected or absorbed, resulting in the excitation of atoms and molecules; but the interaction can also produce composite states of light and matter which are neither one thing nor the other, and therefore have a name of their own – polaritons. These hybrid particles, named in allusion to the particles of light, photons, have now been prepared and accurately measured for the first time in the field of hard X-rays by researchers of DESY, ESRF in Grenoble, Helmholtz Institute in Jena and University of Jena. In the journal Nature Photonics, they describe the surprising discoveries they made in the process. From a scientific point of view, polaritons are an extremely interesting type of quasiparticles. Scientists have recently succeeded in using polaritons to create a new type of source of visible laser light which does not depend on the stimulated emission that is necessary in conventional lasers. If this technology can be transferred to the field of X-rays, it could serve as the basis for a new type of narrow-band X-ray laser. Polaritons can be created particularly well using atoms whose nuclei have very sharply defined excitation states, so-called resonances. In the domain of X-rays, the Mössbauer isotope iron-57 (57Fe), whose atomic nucleus displays an extremely narrow energy resonance at an energy of 14.4 kilo-electronvolts (keV), is ideal for this purpose. For their experiment, the scientists manufactured periodic stacks made of alternating layers of 57Fe and non-resonant 56Fe, the most commonly occurring isotope of iron, each less than two nanometres thick. When X-rays from a synchrotron source are shone at such a periodic array of atoms at a certain angle, the layers act as an amplifier for the X-rays: resonance occurs at precisely the same energy as that displayed by the 57Fe nuclei. "This combination of two different resonant systems gives rise to a remarkable phenomenon," explains Johann Haber, the principle author of the study and a doctoral student at DESY. "The resonances of the X-rays and the atomic nuclei seem to try and get out of each other's way, because a hybrid of atoms and light is formed, which displays two new resonances having different energies that weren't present beforehand." This is a so-called collective effect which is caused by the mutual interaction of a large number of atomic nuclei with the X-rays." The separation of the energy levels of these new resonances closely depends on the interaction between the nuclei and the X-rays. In their experiment, the scientists were for the first time able to determine the spectral structure of the resonances of such a system with extremely high precision. They were helped in this by a novel detection method developed by the team surrounding Ingo Uschmann, a researcher from Jena. This method is able to separate the signal of the atomic nuclei from the background signal with a very high degree of sensitivity. 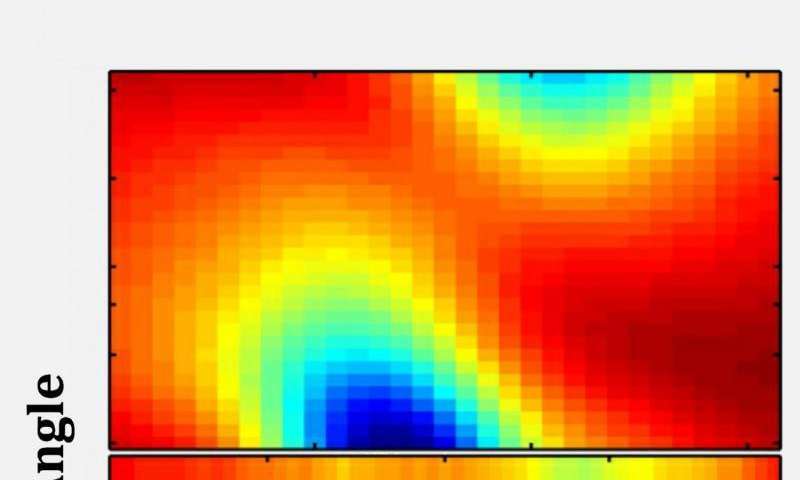 Thanks to this apparatus, the scientists managed to measure the two new resonances, which are separated by only 37.3 nano-electronvolts and which can be attributed to the creation of polaritons. "We were able to give an excellent theoretical description of the results using a quantum-optical model specifically developed for this purpose," says Johann Haber. "Being able to prepare and measure polaritons of this type in the X-ray range is an important step on the path to the high-precision creation of radiation fields by modern X-ray sources, especially by the new X-ray lasers," explains Ralf Röhlsberger, the researcher from DESY who was in charge of this work group. "The simultaneous emission of many identical photons during the decay of nuclear polaritons could lead to extremely narrow-band, non-classical light sources in the X-ray range, and open the way for new applications in high-precision spectroscopy." At the same time, the experiment is a further step towards establishing quantum optics in the X-ray domain.